Note: The device will be delivered with region lock. 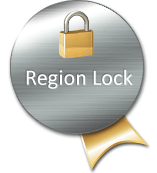 Because of this lock, the mobile will only be usable in Europe or the European Economic Area. To use the device with a different SIM-card, it has to be unlocked by the manufacturer. The unlock process will not be done by computeruniverse, you will have to ask a local Samsung partner to do this. To use a European SIM-card for the first activation will not result in an automatic unlock of the device.